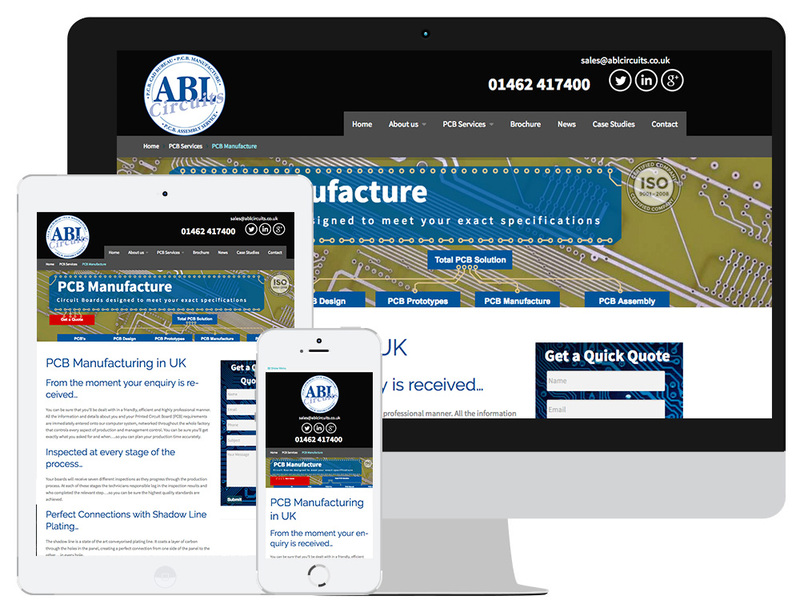 We have worked with ABL Circuits for a number of years now and, since we began working together, they have seen their new customer enquiries increase. Our work with them was initially to handle their PPC campaign but this has gradually grown as they realised just how much we can help their client base to keep expanding and we continue to working closely with them today. When we initially began work on their PPC campaign, we were able to identify that they were, in fact, wasting around 70% of their budget – a huge amount that, had it been properly managed, could have had a massive effect on their turnover. We were able to fix this issue with proper keyword research and ensure that their budget was spent wisely. As a Google certified company, we have to pass regular exams to ensure we stay one step ahead, meaning any advice we give our clients, including ABL, is up to date and few companies would be able to compete with our knowledge. Once we had fixed the issues on their PPC, it was not long before ABL Circuits were able to see a noticeable increase in their enquiries. Once the PPC was working better for them and they were no longer squandering the vast majority of their budget, ABL Circuits asked us to analyse their website and see what improvements we could make. It was decided that a new site would work better and be more economical, both time-wise and financially, rather than building onto an old site and having to deal with the restrictions that come with that. Once the new site went live in April 2015, it wasn’t long before we could see increased conversions – it was performing exactly as ABL Circuits needed it to. The next part of our work with them involved Google AdWords remarketing – where a company’s adverts are shown to users who have already visited their site. This is beneficial to businesses as it not only increases brand awareness, but has more targeted ad copy, saves advertisers money and can assist in higher conversion rates. Our most recent task for ABL Circuits has been to organise their Bing advertising, meaning their adverts will not only be displayed on Google, but also on the Bing and Yahoo search engines. We continue to provide monthly SEO work to the site, helping them achieve organic traffic to their site, alongside their paid for traffic. Take a look at the ABL Circuits website.